viver. Isso que é ser útil ao próximo e à sociedade. 4(13)(22)- “O pão nosso de cada dia nos dai hoje…;” lembro-me de viver pra trabalhar e não trabalhar para viver. Isso que é ser útil ao próximo e à sociedade. Its like you read my mind! You appear to know a lot about this, like you wrote the book in it or something. I think that you can do with a few pics to drive the message home a bit, but other than that, this is wonderful blog. A great read. I'll certainly be back. Excellent post! We shall be linking for this great content on our website. Keep up to date the best writing. Hi, I really do believe this is an excellent website. I stumbledupon it ;) I am going to return again since I book marked it. Money and freedom is the ideal method to change, may you be rich and continue to guide others. Hi there it's me, I aam also visiting this website regularly, this website is really pleasant and the users aree iin fact sharing fastidious thoughts. I love the information in this post. It’s smart, well-written and simple to understand. You've got my attention on this subject. I'll be back for even more interesting articles or blog posts. I like the valuable information you provide to your articles. I'll bookmark your blog and check once more here frequently. I am reasonably certain I'll be informed many new stuff right here! Good luck for the next! Hello there, just became aware of your blog through Google, and found that it's truly informative. I am going to watch out for brussels. I will appreciate if you continue this in future. Many people will be benefited from your writing. Cheers! Although we agree with the 8 best practices mentioned above, Google confirmed 10 of these after examining the adverts that generated the most views on YouTube. Somebody necessarily assist to make severely articles I might state. This is the first time I frequented your website page and to this point? I surprised with the research you made to make this particular submit amazing. Fantastic job! Gday! 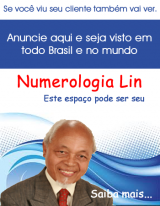 I hope you don't mind but I decided to publish your weblog: http://numerologialin.com/blog/?p=4227 to my on-line directory website. 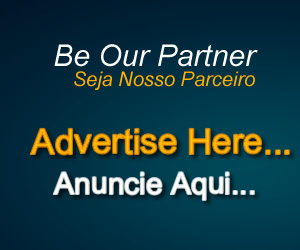 I used, "Pai-Nosso-4/9>Pão nosso de cada dia " as your site headline. I hope this is ok with you. If perhaps you'd like me to change the title or perhaps remove it entirely, email me at lauraveasley@arcor.de. Thanks a ton. This will be a terrific blog, would you be interested in doing an interview with regards to exactly how you developed it? If so e-mail me!I’d always want to be updated on brand new blogs on this web site, saved as a favorite!You have very worthwhile points. What an excellent site you have here.